ww2dbaseFriedrich Christiansen was born in Wyk auf Föhr in the North Frisian Islands in Schleswig-Holstein, Germany. His father was a sea captain, and he followed his father's footsteps as he joined the merchant marine in 1895. In 1901, he served aboard military motor torpedo boats as a volunteer. Shortly after, he served aboard the 5-masted sailing ship Preussen, the largest sailing ship in the world, as her second officer. In 1913, he learned how to fly and changed his career to become a civilian flight instructor. In Aug 1914, he entered naval service as an aviator. During WW1, he flew W.12 seaplanes over the waters between continental Europe and Britain as well as flying bombing Dover and Ramsgate in southern England. For his service in WW1, he was awarded the Iron Cross Second Class, the Iron Cross First Class, Knights Cross with Swords of the House Order of Hohenzollern, and the Pour le Mérite. ww2dbaseDuring the inter-war years, Christiansen returned to the merchant marine as a captain. In 1929, he became a pilot for the German aircraft company Dornier, with which company he flew the Do X, the world's largest seaplane, in 1930.
ww2dbaseIn 1933, Christiansen joined the fledgling German Luftwaffe. In 1936, he was promoted to the rank of Generalmajor. In 1937, he was appointed the chief of the National Socialist Flyers Corps (NSFK). Later in 1937, he was promoted to the rank of Generalleutnant. 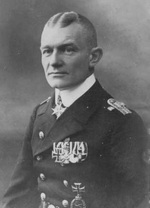 In 1939, he was promoted to the rank of General der Flieger. ww2dbaseChristiansen served nearly the entire duration of the European War as the commanding officer of German forces in the Netherlands, which lasted from May 1940 until Apr 1945; he also commanded the German 25th Army in late 1944 and early 1945. In late 1944, in retaliation of the killing of his subordinate Leutnant Sommers by Dutch resistance fighters, he gave the order for his troops to attack the village of Putten, Gelderland, the Netherlands; this attack resulted in many civilian deaths and the deportation of 661 men to labor camps. After the end of WW2, Christiansen was arrested, convicted of war crimes, and was imprisoned in Arnhem, the Netherlands until 1948. In 1951, his home town of Wyk auf Föhr named a street after him, which sparked controversy in Germany and the Netherlands; the town council took away his name from the street in 1980.
ww2dbaseChristiansen passed away in Aukrug, Schleswig-Holstein, Germany in Dec 1972. 12 Dec 1879 Friedrich Christiansen was born in Wyk auf Föhr, North Frisian Islands, Germany. 27 Apr 1916 Friedrich Christiansen was awarded the Iron Cross First Class and Knights Cross with Swords of the House Order of Hohenzollern. 15 May 1917 Friedrich Christiansen scored his first air-to-air victory, a British Pup aircraft, over Dover, England, United Kingdom. 1 Sep 1917 Friedrich Christiansen was named the commanding officer of the German naval air station at Zeebrugge, Belgium. 11 Dec 1917 Friedrich Christiansen shot down the British airship C27 near the Belgian coast. 15 Feb 1918 Friedrich Christiansen shot down a British H12B flying boat off Felixstowe, England, United Kingdom. 24 Apr 1918 Friedrich Christiansen shot down a British H12B flying boat. 25 Apr 1918 Friedrich Christiansen shot down a British H12B flying boat. 6 Jul 1918 Friedrich Christiansen strafed British submarine HMS C25 in the Thames estuary in southern England, United Kingdom, killing its captain and five crewmen. 11 Nov 1918 Friedrich Christiansen scored his 13th solo kill, bringing his total to 21 (which included shared victories). 1 Jan 1939 Friedrich Christiansen was promoted to the rank of General der Flieger. 29 May 1940 Friedrich Christiansen became the commanding officer of the German military in the Netherlands. 2 Oct 1944 Friedrich Christiansen ordered a raid on the village of Putten, Gelderland, the Netherlands as retaliation for the killing of his subordinate Leutnant Sommers by resistance fighters. Many civilians were subsequently executed and 661 men were deported to labor camps. 10 Nov 1944 Friedrich Christiansen was named the commanding officer of the German 25th Army. 28 Jan 1945 Friedrich Christiansen stepped down as the commanding officer of the German 25th Army. 3 Dec 1972 Friedrich Christiansen passed away in Aukrug, Schleswig-Holstein, Germany.